We recently had the pleasure of catching up with Michael from Adelaide, a big fan of sci-fi movies and deep bass! 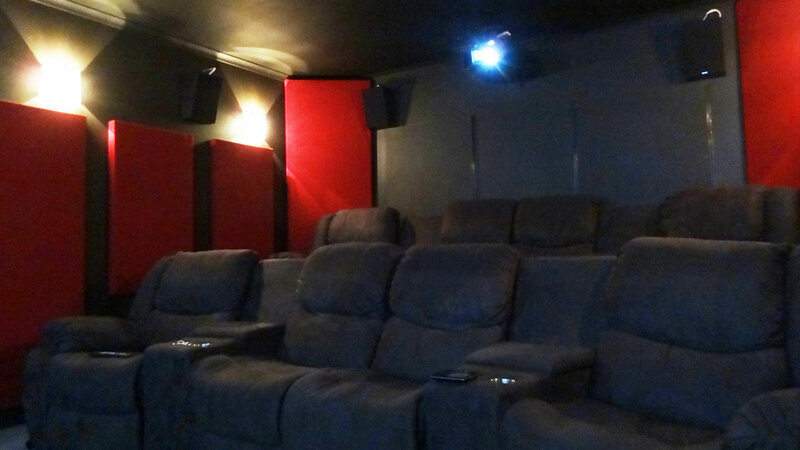 Read on to see how he achieved his dream of a dedicated home theatre. What gear do you have in your system (speakers, processors, amps, projector, screen etc)? I knew that the speakers would be one of the most important choices in my room. I initially was looking at a set of B&W speakers as I had experienced these previously and was impressed with the sound and dynamic range, however during the process of obtaining quotes it was suggested that I give Krix a go. After a bit of research and being exceptionally impressed with the commercial application of Krix (you were in all my favourite cinemas), I went down to my local dealer in Adelaide who had the Neuphonix/Epicentrix range in their demo room which blew me away. Instantly I knew these were the speakers for my application, and the fact that they were made locally just added sweetener to the deal. I ended up with the Neuphonix (front ported), Epicentrix, and 2 pairs of Dynamix for a 7channel set up. The Volcanix subwoofer completed the 7.1 and adds significant low down punch to any soundtrack. I powered these with a Marantz Pre/Pro setup, utilising the AV7005 AV Pre-amp, the MM7055, and 7025 amplifiers. Whilst not strictly advertised as supporting low impedance, after speaking to Marantz and Krix it was determined that there would be no issues (which continues to ring true). Bluray duties were handled by the Marantz UD5007, with my trusty Toshiba HD XE-1 filling on for the backcatalogue of HD-DVDs (yes I backed the wrong horse there). With sound and source out of the way, the next challenge was picture. Knowing from the early days I knew that I wanted a BIG screen, and as most of the content I watch is movies, then a cinemascope screen was not only the sensible choice – but also has that wow factor. After a lot of searching, I ended up ordering a SeymourAV screen from the US, which was 140″ Audio Transparent 2.37:1 ‘scope screen with a 40° curve to both increase the wow factor and reduce the light spill onto the side walls by reflecting light inward to the viewing position. I cannot recommend this screen highly enough – it was simple to set up, well made, and performs excellently at a very good price. I added A/T masking panels too, which bring the screen back to 1.78:1 when needed. Having what I consider be be a large screen, I then threw out the rule book and instead of going for the brightest projector I could, I instead went for quality within my budget, and decided on a JVC X95R with 8 pairs of RF 3D glasses. Needing to maximise the light output and retain every possible lumen I could – zooming was never going to be an option and I picked up a Panamorph M480SYS (the UH480 with ceiling mount and manual sled) for anamorphic stretching duties, again direct from AVScience in the US. 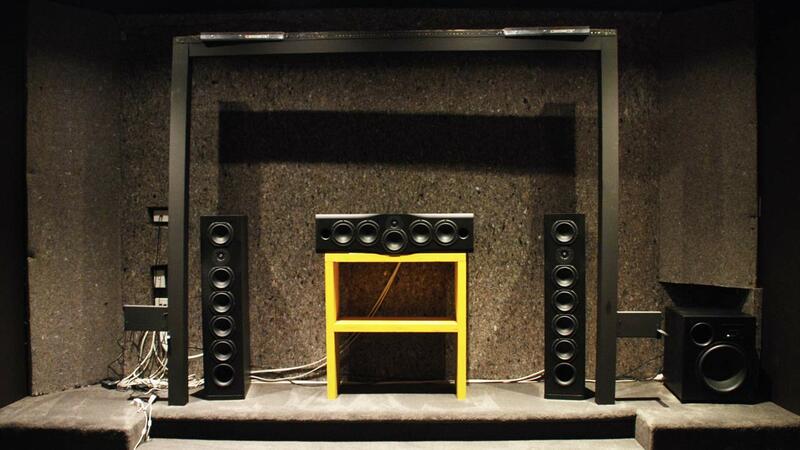 When did you first notice your passion for audio/home theatre? This is a vivid memory for me, I was about 9 or 10 and a family friend had just installed a Dolby Pro-Logic surround system in his lounge room. It was mated up to a (at the time) huge 60 odd cm TV and he played Top Gun as a demo on VHS. When I think back, I don’t know that I could even hear any 3 dimensional sound but the idea of multi-channel audio just like the cinema, but at home, was one that took hold and stuck with me ever since then. Combine that with the release of Jurassic Park in digital sound and the next thing you know I was saving every penny of pocket money to buy my own Sanyo pro-logic stereo. I don’t think I remember ever having spare money since then, haha. As my income improved as I got older, so did my audio systems until my wife and I finally had the opportunity to build our own home and my first demand was a movie room. I think if she had known the extent of my plans she probably would have said no then and there! 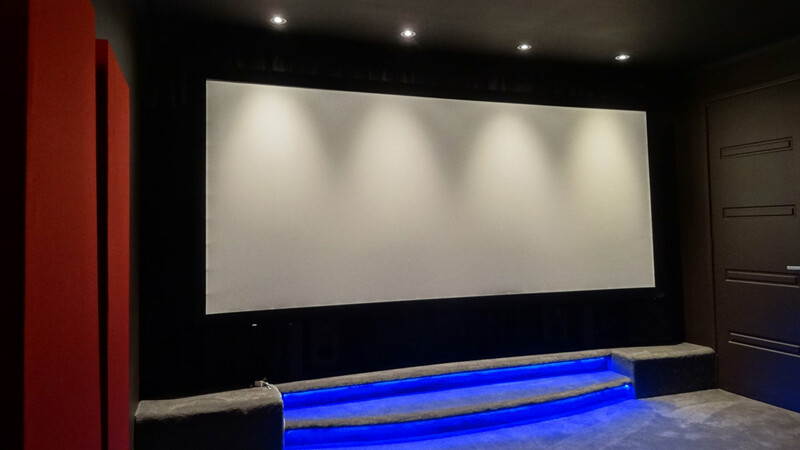 What dimensions are your home theatre room? What challenges did you encounter when designing/outfitting it? Initially the biggest challenge was finding a home design that would fit the conditions of a) fitting on our block, b) livable, and c) would be able to integrate a theatre room. Many builders talk about a ‘media’ or ‘cinema’ room, but very few understand when you want more than just a TV and an in-a-box surround system. In the end the room dimensions were dictated by what we could fit, rather than what was ideal; a reasonable 4.9m wide by 6m deep. Sound control was also a challenge, our builder didn’t want to be too involved in heavy duty sound proofing, so we added what we could in terms of drywall/gyprock and noise control insulation. It’s pretty distracting anywhere else in the house, but thankfully outside it is barely audible and only heavy bass seems to travel to the neighbouring houses and luckily only a couple of complaints so far (thanks Krix – that Volcanix is a gem). Building the stage and riser was also a fun challenge – after getting some exorbitant quotes from carpenters, I decided it was time to bolster my tool collection (from none) and jump in head first. It was my first and only handyman project and it is a miracle I still have my arms and legs attached, however those parts of the room will likely survive a direct hit from a meteor and I remain very proud of the work. What do you enjoy watching/listening to on the system: music, gaming, movies, or all of the above? Definitely movies. I enjoy gaming, but would not be keen to put excess hours on the projector lamp, or risk any burn-in, so 99% is movies and the other 1% is Formula 1. I am a Lewis Hamilton fan, so watching him (generally) win on the big screen is fantastic. What are your favourite music and movies to show off your gear? 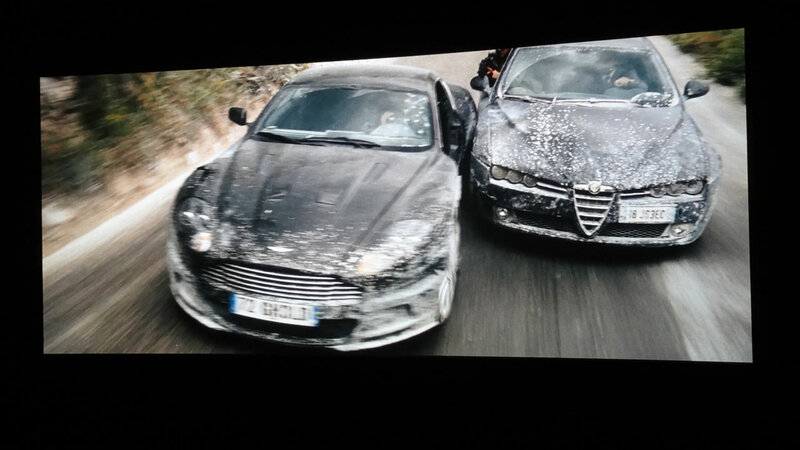 Whilst it’s not my favourite movie of all time, the opening scene from 007 Quantum of Solace is a great one for showcasing dynamic multichannel sound. If showing off a whole movie rather than just 15 minutes, then things like Star Trek, Interstellar, Oblivion, Jack Reacher, Guardians of the Galaxy etc are good choices. I also really like to listen to The Eagles farewell tour which has pretty decent sound for a live performance. The Jurassic World blu-ray would be the next big showoff movie!